MAZOPALOOZA IS A DANCE FESTIVAL which has been quietly thriving in the dead of winter in a tiny town in Southwest Wisconsin for over a decade. We’ve filled the streets, galleries, community spaces and storefronts of Maz omanie with spontaneous physical composition; enjoyed exquisite afternoons of focused movement; explored aerial, vocal, musical, silent, site-specific, physical, theatrical and contact-based improvisation, welcomed the curious via free classes and performances, and accrued rich memories of retreat and reconnection in a peaceful, beautiful rural setting. It is always a delight to witness new eyes opening to the lifelong practice and joyful play of improvisational movement, and to welcome back old friends for whom Mazopalooza has become a New Year’s tradition. Here are some photos from past ‘paloozas. 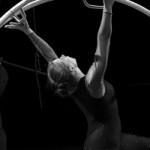 Our festival this year will feature a day-and-a-half-long workshop with guest artist K.J. Holmes (New York), shorter (1-2 hr) offerings by regional teachers and facilitated warm ups leading to open jamming. 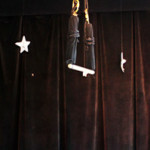 On Saturday evening, we’ll create and witness some improvised performance. Mazomanie is a lovely small town in Southwestern Wisconsin’s Driftless region, about 25 mi. west of Madison. Cozy local accommodations and locally-sourced meals are also available for the weekend. The Athletics of Intimacy with K.J. Holmes (Friday Jan. 6, 11-5:30 and Saturday, Jan. 7, 10-1) This workshop will combine skills and applications of Body-Mind Centering® systems and patterns of development and evolution, practices of Contact Improvisation, and tunings of somatic approaches within solo, duet (strong emphasis on partnering) and ensemble dancing. I am interested in the very physical, sensorial and imaginative, and in discovering new challenges and risks within our movement, of both body and mind that unwinds and weaves improvisational and compositional processes. We will make the invisible visible, learning more about the interior of the body and our ideas and explore pathways to space, time and place as we also learn basic anatomy and physiology to better understand the mechanics of movement. Body-Mind Centering ® (BMC ™) is an eclectic and dynamic approach to somatic training and re-education developed by Bonnie Bainbridge Cohen. Skills and applications of BMC will include differentiating body systems, developmental/evolutionary patterns and fluid states through experiential anatomy and touch and repatterning. 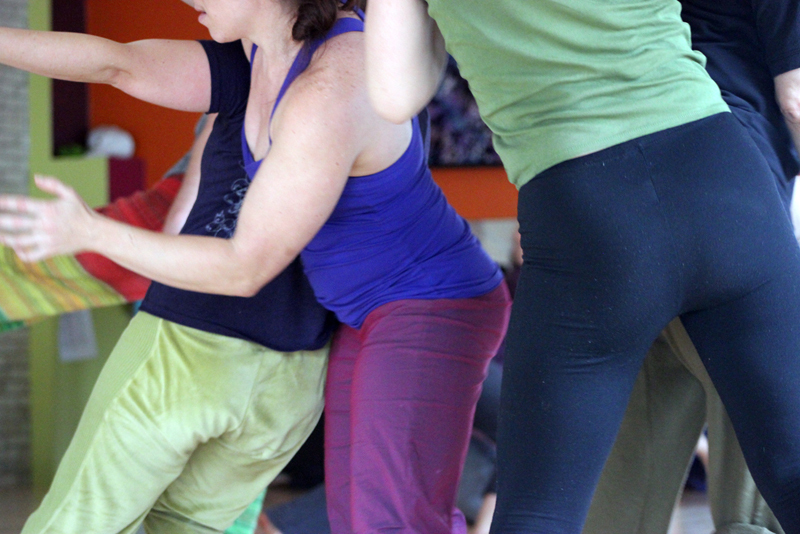 Contact Improvisation is a dance of improvisation and partnering based on the physics of touch, weight, balance, momentum, stillness, flow and resistance, and perceptual play. Begun by dancer Steve Paxton in 1972, Contact Improvisation is a vital practice in contemporary dance and theater, combining aspects of martial arts and yoga, modern dance, gymnastics and social dancing. What’s New Pussycat? Discovering New Dances for a New Year with Holly Jaycox and Andrew Brightman. (Friday, 7-8:30 p.m.) Holly Jaycox and Andrew Brightman love dancing and teaching together, especially with lovely Midwesterners. We dance together often in Indiana, leading a regular jam and training the next generation of dancers.Our annual time at Mazopalooza is always an inspired start to our new year! 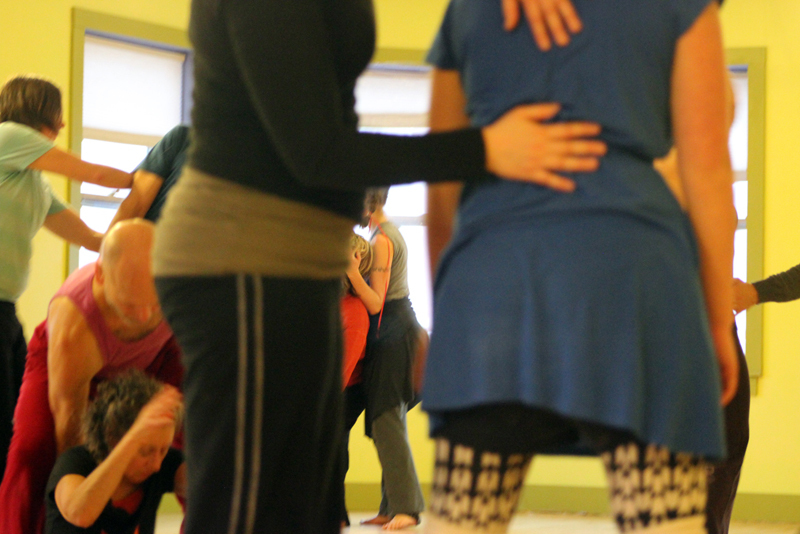 “Awakening through Contact” with Daniel Halkin (Sunday 8:00-9:45 a.m.) Daniel Halkin is a leader of the Chicago Contact Improvisation Jam and is incredibly grateful to be fascinated by teaching CI and leading jams after 16 years of exploration. Sound Dancing with Bobby Kokott. (Sunday 11:30 a.m.-2 p.m.) Beginning in the deep nurture of creating resonant toning with and for each other through sound, we will move into movement aligned sublimely with each other. Bobby Kokott has been leading Sound Healing workshops for 4 years, and teaching Contact Improvisation for 8 years. We're so glad you're coming! Please make sure you've filled out all fields accurately before you hit the red "submit" button at the bottom of this form. Remember your registration isn't complete until you've sent in at least a $50 deposit! Note that a $20 "late registration fee" applies to registrations submitted after 12/28/16! In the quantity field, please use a number "1" if you are registering for yourself only. If you wish to order extra meals for partners, kids, etc., then use "2" for yourself plus one other, etc. Includes all festival workshops, performances and jams, plus SNACKS! Friday Jan. 9, 10:30 a.m. - Sunday Jan. 11, 2:30 p.m. Please note that you must register for HOUSING and MEALS separately! Includes all festival workshops, performances and jams, plus SNACKS! Friday Jan. 9, 10:30 a.m. - 10 p.m. Please note that you must register for HOUSING and MEALS separately! Includes all festival workshops, performances and jams, plus SNACKS! Saturday 10 a.m.- 10 p.m. Please note that you must register for HOUSING and MEALS separately! Includes all festival workshops, performances and jams, plus SNACKS! Sunday 11 a.m.-2:30 p.m. Please note that you must register for HOUSING and MEALS separately! Please register for MEALS separately! These are the menus for our catered meals. Maria Van Cleve is cooking our dinners and brunch. Lunches will be provided by mars and the workstudy team. All meals will include many locally sourced, organic and seasonal ingredients. We've tried to include a comprehensive list of those, so that those with dietary restrictions can plan accordingly. Fridge and microwave available for storing and reheating food, if you choose to provide your own meals. Cold buffet of salads, vegetables, meats, cheeses, hummus, breads, gf tortillas, fruit, cookies. Smorgasbord for all kinds of eaters! Chicken and wild rice soup (Garlic, onion, carrot, celery, herbs), Salad, breads, gf tortillas, fruit, cookies. West African Peanut Stew (onion, tomato, garlic, greens, yams, peanuts, salt, oil), Salad, breads, gf tortillas, fruit, cookies. Jambalaya: chicken, ham, kielbasa, shrimp, rice, tomatoes, onion, peppers, chicken broth. Squash buns, butter, Tossed Salad, Chocolate cake with raspberry sauce and whipped cream. Fried Polenta with spicy tomato and vegetable sauce: corn meal, scallions, tomatoes, eggplant, mushrooms, onions peppers, spices; parmesan on the side. Squash buns, butter, Tossed Salad, Chocolate cake with raspberry sauce and whipped cream. Please register for HOUSING separately! May we use photo/video of you for future promotions? Would you like us to share your contact info with other participants for carpooling purposes? You may use any credit card via our Paypal gateway. Please make checks payable to Mazo Movement Arts Center and mail to: 417 Bridge St. Mazomanie, WI 53560. *Registration deadline is 12/28/16! $20 late fee applies for registrations received after this date! **Housing will be $10-$30/night in addition to this total. Make sure you've ordered all meals individually. $50 non-refundable deposit is required with your registration. 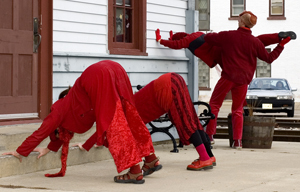 Marcia Miquelon directs the Mazomanie Movement Arts Center. She is a dancer, aerialist, stilt walker and certified yoga teacher whose background includes ballet, modern dance, improvisation, African, and Latin dance as well as telemark skiing, long-distance cycling, and lots and lots of special event coordination. 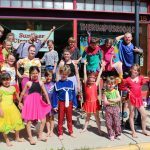 ← Potluck Dance Classes for kids and adults!